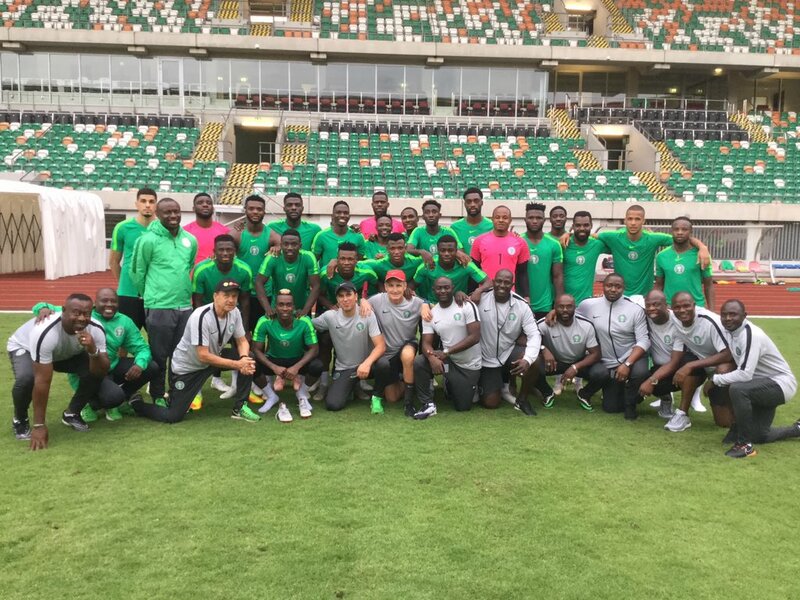 Super Eagles will open camp in Asaba tomorrow ahead of their African Cup Of Nations qualifier against South Africa on Saturday. Super Eagles top group E on 9 points while Bafana Bafana are second with 8 points. South Africa will host the Super Eagles on Saturday at the FBN Stadium. Super Eagles twitted: Ahead of our #2019AFCONQ vs @BafanaBafana. Our camp opens in Asaba tomorrow. Only the training session of Wed., Nov. 14, 2018 is open, other sessions will be closed. Our press parley holds next Monday, Nov. 19, ahead of the international friendly vs Uganda. Invited players are expected to start arriving from tomorrow.